A weighted vest workout is a great way to increase the difficulty of your workout and in turn build more muscle and burn more fat. They not only improve your physical performance, but they also help strengthen many muscles. Weight vests can be a good way to improve your cardiovascular health, maximizing the potential for muscle growth, increasing resistance, burning more calories, and boosting core strength. 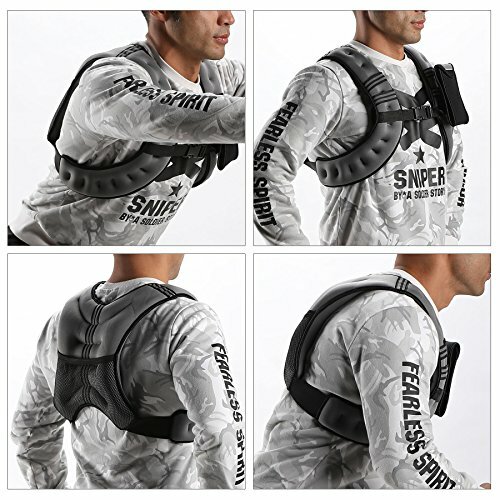 A weighted vest is a fitness tool designed with heavy material that comes with small pockets so that you can put sand bags, small weights, or tiny steel bars into each pocket. This adds to your bodyweight when performing body weight exercises such as running, squats, pull-ups, CrossFit training, etc. Why would a child wear a weighted vest? A weighted vest pushes your bodies muscles to grow that they can support the extra weight that the vest adds during your training sessions. Your muscles and bones will respond to the additional strain by increasing bone mass and muscle strength. The added weight from a weight vest forces your core to work harder to stabilize and balance the additional load. While a weight vest in and of itself will not make you lose weight adding a weight vest into your weight training or cardiovascular workouts will increase the number of calories you burn which in turn can help you lose weight faster. You will also build additional muscle while using a weight vest which burns more calories even at rest. A cardio workout is one of the ways of improving heart strength. Adding weight to your body will increase your heart rate, and you will notice you are out of breath faster than when you are not wearing one. Even when you are not on the treadmill and you are lifting normal weights, it’s going to be much harder. Always use a weight vest in moderation though as you can seriously injure yourself if you use too much weight or exercise for too long. 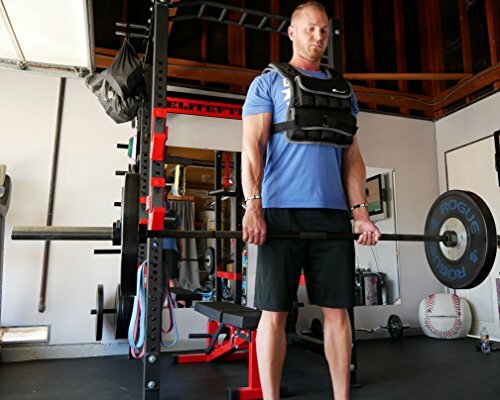 Can you wear a Weighted Vest All Day? Weight vests come in a variety of weights. Some have predetermined weights while others have adjustable weight. When preparing for a weighted vest day, it is essential that you do it well. Wearing a weighted vest for even a few hours can result in soreness, muscle burn, and strain to the feet. When starting out, you need to begin with the right amount of weight which is 10% of your body weight, then working your way up by adding 5% - 10% every week if you are injury free. Whether you are a gym rat, a professional athlete or a beginner, wearing a weighted vest comes with lots of benefits. Weighted vests have a relationship with sensory processing disorder. They bring a calming effect to children with autism. Also known as pressure vests, weighted vests are used to provide even pressure on the child’s body when their body needs proprioceptive and calming input. They are also used to calm oversensitive kids who seem to have extra energy. They reduce hyper-responsiveness by putting pressure that diminishes response to stimuli. For kids who show signs of risky behavior like risky climbing and jumping, or appear to be restless and can’t sit calmly in class, weighted vests provide the pressure to improve body awareness, reduce hyperactivity, and enhance learning and comprehension. If your looking for your first weight vest and want the best you can't go wrong with the Hyperwear vest. With the Hyperwear Hyper Vest Elite, you can run and perform other weighted exercises with a weight vest that can support 15 lbs. for the small size, and 20 pounds for the large size. The Elite model comes in an advanced design that uses cutting edge technology. It is simple to wear, and you will feel comfortable through the toughest of exercises. The full-length YKK reflective zipper makes it super easy to wear and take off even in the middle of a workout. The CORDURA fabric is breathable and moisture wicking to keep you comfortable at all times. This way, you can run longer and improve your resistance even further. Since it is moisture wicking, you will not experience chaffing even if wearing the vest for extended periods of time. This vest allows for full chest expansion thanks to the patented design that flexes less in the vertical plane and more in the horizontal plane. This design provides you with stabilized weights in all types of vigorous exercises. You should not expect any weight to shift so you can perform strenuous activities without the weight shifting from side to side and causing balance issues. The most critical performance feature is that you can increase and decrease the weight at will. It comes with preloaded galvanized steel weights that you can add in 2.25-ounce increments. It is your go-to when you want to start small and add more weight as you improve your resistance. The Challenge Weighted Workoutwear for women is an innovative design. It features soft and flexible weights that fit in a vest interior enclosure. With more women getting into weighted vest training, it is clear that there is a gap since most vests are designed for use by men. 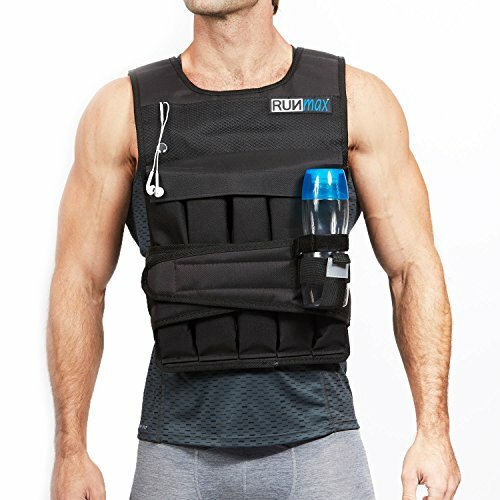 This weighted vest uses interchangeable thin weights that are only 1/8 inches thick. They fit in a comfortably designed pocket inside the weight vest leaving a soft exterior. These are soft weights with construction from flexible elastomer substrates. They are then planted inside metallic ball bearings so that you can have a sleek vest that is stylish and fit for the gym. Your vest will come with 4lbs of 16 flexible weight thins. Each of the weights is adjustable and removable from one of the pockets located on the shoulders, back, and waist areas. Since the enclosures are cuffed, the weight will stay in place for all your workouts. With well-distributed weights that are soft and comfortable, you will be able to challenge yourself further. This vest allows you to take exercise to another level. From running on the treadmill to taking hikes, training for a 10K, aerobics, CrossFit, or walking. The Challenge weight vest can help you burn more calories, increase energy levels, stimulate the nervous system, improve cardiovascular health, and prevent injuries. Take your training to exceptional levels with the Strength Sport Systems Weight Vest. This vest has triple-layer pockets to give you optimum balance and comfort in every workout. You will love that the straps are adjustable so that it can fit properly without being too tight or too lose. What’s more, this vest fits to your torso without any bouncing or shifting the weights. This model has contoured shoulders that conform to your body for a comfortable fit. You will be able to breath and engage in vigorous CrossFit training with ease. Advertised to last a lifetime, Strength Sports Systems will never sag, stretch, or fall apart. We like the versatility of this weighted vest. The weights are adjustable to accommodate your growing strength and resistance as you train harder. This will help you build more lean muscle as well as advance your CrossFit training to higher levels. With this vest, you will be able to perform barbell workouts including overhead barbell presses and deadlifts. It will also add weight when performing squats, lunges, and even sprints. You get good arm range of motion and it is easy to change the weights. Speed is considered to be of utmost importance in the NFL. If you want to get explosive speeds, a weighted vest will help you get there much faster. The Speed-vest Athlete Training Vest is perhaps the best item you could add to your training routine. This weighted vest is a thin and comfortable model. It comes with adjustable weight up to 17 lbs. It uses soft and flexible metal that can conform to your body. This allows it to stay intact and prevent weight shifting. It can expand and flex according to your movements thus allowing unrestricted movement. This vest has a construction from porous polyester material. It keeps your body cool so that you can train harder for extended periods of time as you work to increase your speed. This vest will never inhibit your movement. Its slim design provides proper form so that you can maintain correct posture. You will be able to perform all around training from jumping, running, climbing, and even swimming. Talking about swimming, this vest is in a porous design that is easy to dry, and since air flows between the vest you can train for a triathlon with it. 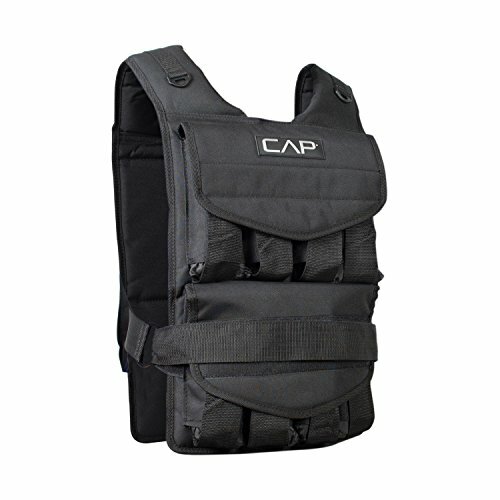 For premium quality in your fitness gear, CAP provides you with their best performing weighted vest. This vest is ergonomically designed to be both comfortable and well-fitting for most people. If you are looking to train harder, this vest will prove to be very helpful. It comes in various weights from 40 pounds all the way to 150 pounds. All the weights are removable so that you can adjust them to suit your training needs. It is built with a durable material that includes breathable mesh and conforms to your body. With the neoprene padding, most of the weight is felt around the back and the core thus it won’t feel cumbersome on your shoulders or body. 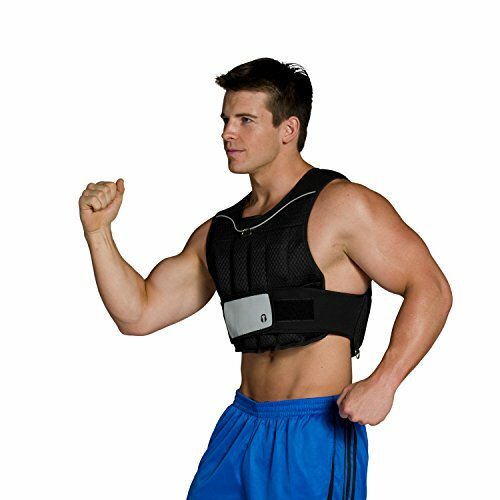 The belt of this weight vest can be adjusted to fit both men and women. The weight increments are in 2.5 pounds each which means it a very flexible model to start your fitness journey with. The last thing you want is a weighted vest that will restrict your movement when trying to increase your resistance training. That’s why the CAP Barbell is designed to fit all people while allowing you to perform a wide array of exercises. 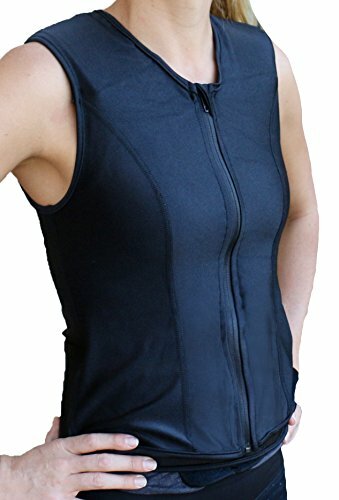 You can engage in cardio workouts, weight lifting, and outdoor training sessions with this vest. Memorial Day honors soldiers who sacrificed their lives in the service of our nation. One way to honor them is to partake in the Murph Challenge which happens every Memorial day. To get ready, you will want to be on par with the others by building your endurance. 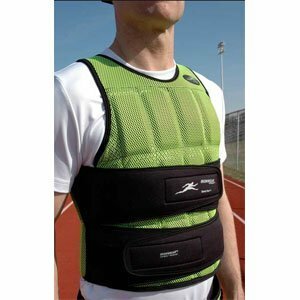 The RUNFast/Max Weight Vest is an excellent way of accomplishing precisely that. This vest is built to help you burn extra calories and sweat it out on the treadmill, performing pushups, pull ups, squats, jumping rope, etc. You get to choose from 12 pounds all the way to 60-pound vests. 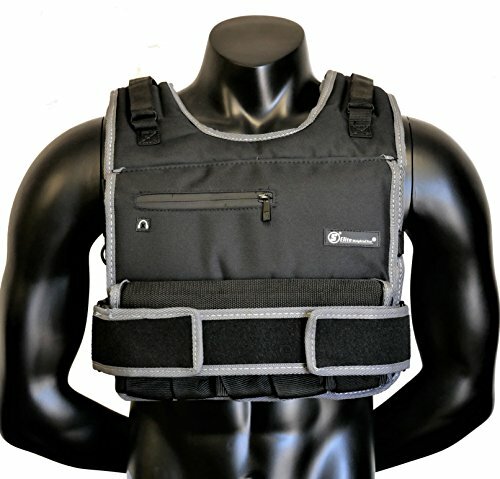 With the 12-pound vest, you cannot adjust the weight, but with the 20-60 pounds, the weights are removable and adjustable. These weights are of iron ore which is the heaviest in grain type weights. It is guaranteed to get you working harder so that your body is ready for everything the Murph challenge throws at you. With the 12-pound vest, you cannot adjust the weight, but with the 20 & 60-pound vests, the weights are removable and adjustable. These weights are made of iron ore which is the heaviest in grain type weights. It is guaranteed to get you working harder so that your body is ready for everything the Murph challenge throws at you. Don’t let a high price tag keep you from achieving the benefits of a weighted vest. With the Z Zelus weight vest, your fitness goal can be reachable. This is an entry level weight vest. At only 12 lbs. of iron sand weight, you will be able to work with it for strength training. This model is super rigid, so there are no chances of sliding or weights shifting. The Z Zelus vest construction is from chloroprene rubber that is flexible, soft, and breathable. It remains snug through the most intense workouts so that you can climb the stairs, run, lift weights, and perform cardio workouts without additional hassle. With the adjustable buckle straps, it allows you to fit it to your body tightly. This way, you won’t be overwhelmed by wearing a vest that is sagging or that is too tight and restricts movements. The Z Zelus also includes front pockets where you can store essentials like your phone or keys. Since this vest is only 12 lbs. and you cannot add weight to it, we are convinced it is directed towards beginners or people who know they will only want a little bit of extra weight. It allows you to train using the right weight so that you will not hurt your knees and ankles when you are beginning a fitness program. To enhance your workout and train better, a weighted vest will come in handy. 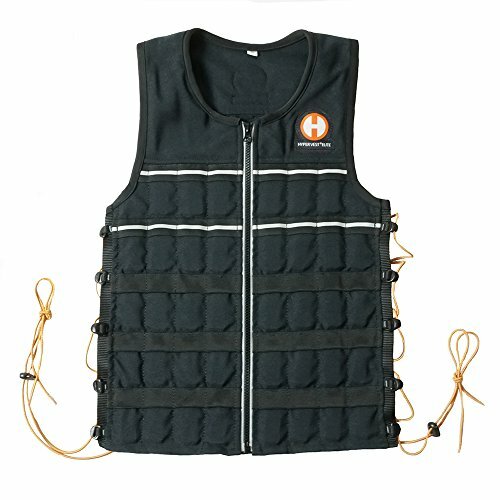 We have put together the Best Weighted Vests that fulfill different purposes. If you are searching for a weighted vest for running, the Hyperwear Hyper Vest Elite Adjustable Vest is our top recommendation. Ladies, the Challenge Weighted Workoutwear, vest has got your back. Whether you want to increase your speed, train for the Murph Challenge or you are a beginner; we are sure you can find the perfect weight vest for you!